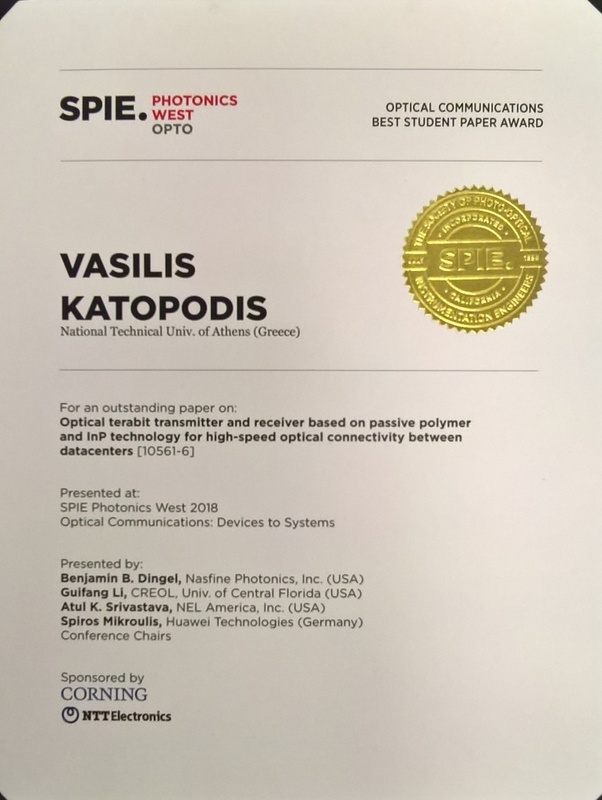 Abstract: A hybridly integrated multi-format transmitter and coherent receiver based on passive polymers and InP photonics and electronics are presented. The transmitter is capable of selective mQAM modulation using two integrated 3-bit power DACs for driving an array of two InP Mach Zehnder modulators assisted by a passive polymer platform for guiding the optical light on chip and for combining the In-phase and Quadrature-phase components of the modulated signal output. The coherent receiver comprises an optical hybrid front-end and a quad InP photodiode array followed by a high speed InP-DHBT TIA pair. Their transmission performance is experimentally evaluated up to 25Gbaud.